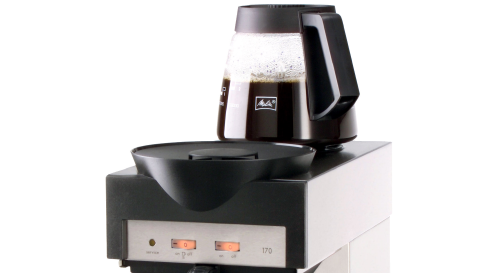 The robust filter coffee machine with glass jug or thermal jug. The decalcification signal ensures low service costs. Illuminated power indicator. 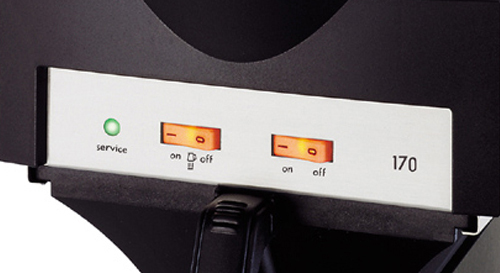 Robust, electronically controlled instantaneous water heater. 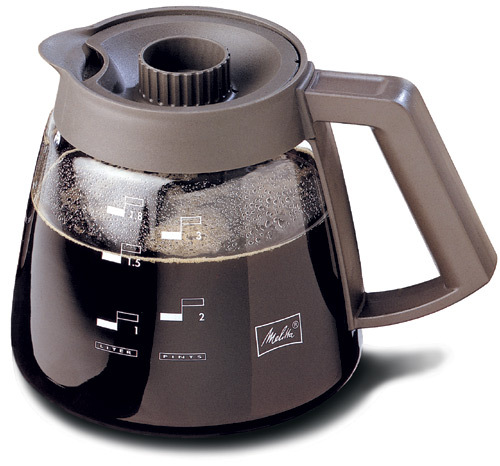 Thermal jugs for the Melitta® 170 MT are available in two versions: 1.85 Litre (screw-top lid) or 2.2 Litre (pump jug). 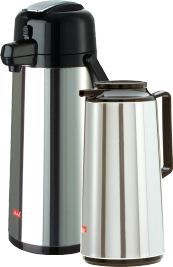 Glass jug with a capacity of 1,8 l.
Thermal jug for Melitta® 171 MT with a capacity of 1,85 l (screw top) oder 2,2 l (pump mechanism). 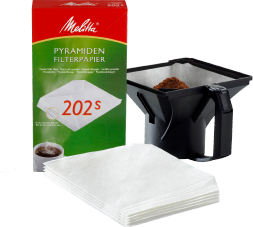 Filter paper for clear and grounds free filter coffee. Guarantees a high yield in flavour even with small quantities, retains almost all torrefaction and bitter constituents.